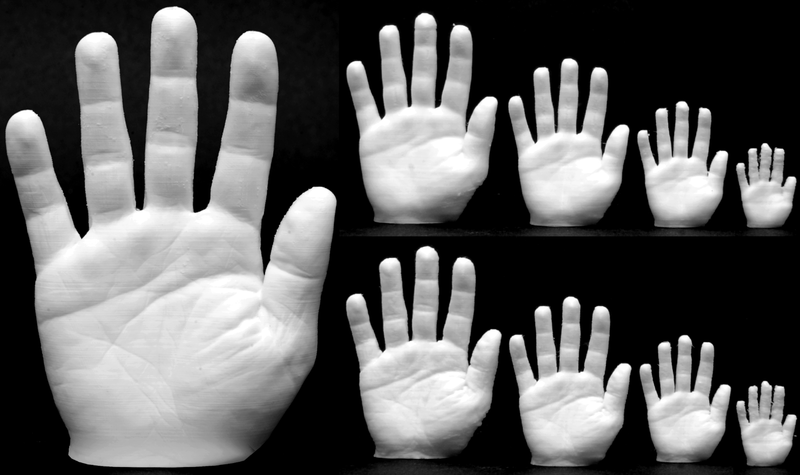 Mass market digital manufacturing devices are severely limited in accuracy and material, resulting in a significant gap between the appearance of the virtual and the real shape. In imaging as well as rendering of shapes, it is common to enhance features so that they are more apparent. We provide an approach for feature enhancement that directly operates on the geometry of a given shape, with particular focus on improving the visual appearance for 3D printing. The technique is based on unsharp masking, modified to handle arbitrary free-form geometry in a stable, efficient way, without causing large scale deformation. On a series of manufactured shapes we show how features are lost as size of the object decreases, and how our technique can compensate for this. We evaluate this effect in a human subject experiment and find significant preference for modified geometry. Access the online version here.